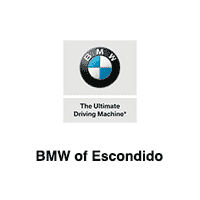 Whether you’re looking for a used BMW X3, a used BMW X5, or a non-BMW, BMW of Escondido near San Marcos has you covered. Our extensive inventory of 112 vehicles runs the gamut from SUVs to wagons to convertibles. And, in leasing or financing your next used vehicle with us, you can drive around San Marcos and San Diego with confidence; after all, we’ve inspected every vehicle for quality. If you’re looking for more quality assurance and an added peace of mind, explore our Certified Pre-Owned BMWs. After you’ve calculated your monthly lease or loan payments, make your way to our dealership in Escondido. With our varied stock of used vehicles – white BMWs, black BMWs, and, even, non-BMWs – we’re sure you’ll find something you enjoy. Contact us to get started in the leasing or financing process today. Retired Courtesy Loaner. Clean CARFAX. Certified. Jet Black 2018 BMW X1 sDrive28i FWD 8-Speed Automatic 2.0L 4-Cylinder DOHC 16V TwinPower Turbo23/32 City/Highway MPGBMW Details:* Multipoint Point Inspection* Warranty Deductible: $0* 1 year/Unlimited miles beginning after new car warranty expires. * Vehicle History* Roadside Assistance* Transferable WarrantyAwards:* JD Power Initial Quality Study (IQS)Friends and Family Pricing!